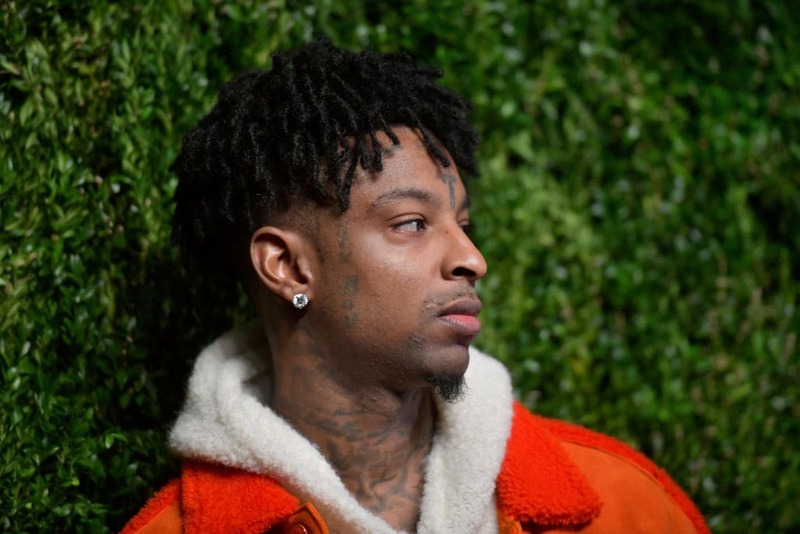 Rapper 21 Savage covers the latest issue of Billboard magazine, and he's opening about his immigration status and run-in with the Immigration and Customs Enforcement (ICE). Rapper 21 Savage covers the latest issue of Billboard magazine, and he’s opening about his immigration status and run-in with the Immigration and Customs Enforcement (ICE). In the recent publication, the 26-year-old artist, who was arrested and detained by ICE agents in February, reveals how his life has changed following his release. Despite having lived in America over half his life, the UK-born rapper, who entered the United States back in 2005 by way of Atlanta, Georgia, is currently in the midst of an ongoing battle to attain citizenship. In the April issue of Billboard, Savage details the burden of carrying his “illegal secret,” as well as fighting for permanent residency. The hip hop star is also not fighting the battle alone. The #Free21Savage coalition, led by Black Lives Matter (BLM) co-founder Patrisse Khan-Cullors, is fully behind the rapper’s journey to justice. During his time away, the group rallied other celebrities and organized a petition demanding ICE halt their deportation process. Khan-Cullors says she hopes their combined efforts will bring some much needed attention on Black immigrants, who are often forgotten in the fight for U.S. citizenship rights. “Much of how we are trained to think about immigration issues in this country is that it’s a Latinx issue. Black immigrants are more likely to be detained and deported than any other immigrant group solely because of their blackness. We are living in a country where it becomes a double whammy to be both Black and undocumented,” Khan-Cullors said. In the meantime, 21 Savage has been granted working rights to perform and travel anywhere in the United states. His next stop will be renowned music festivals Lollapalooza and Rolling Loud, as well as his own upcoming tour in the summer. You can check out the latest issue of Billboard, out April 13!